My one previous sample of Cockburn 1927 was a bottle opened the night before my brother’s wedding, which was splendid. This one wasn’t. A glorious rose colour, and a nose that JFH but nobody else described as “grass†. To taste sour, ‟medicinal” (RAW), and later having a burnt note. Off. 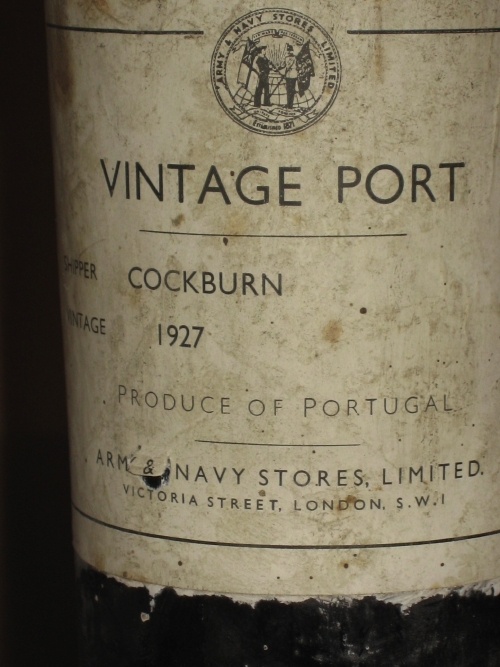 Picture of label of Cockburn 1927, Army & Navy stores.